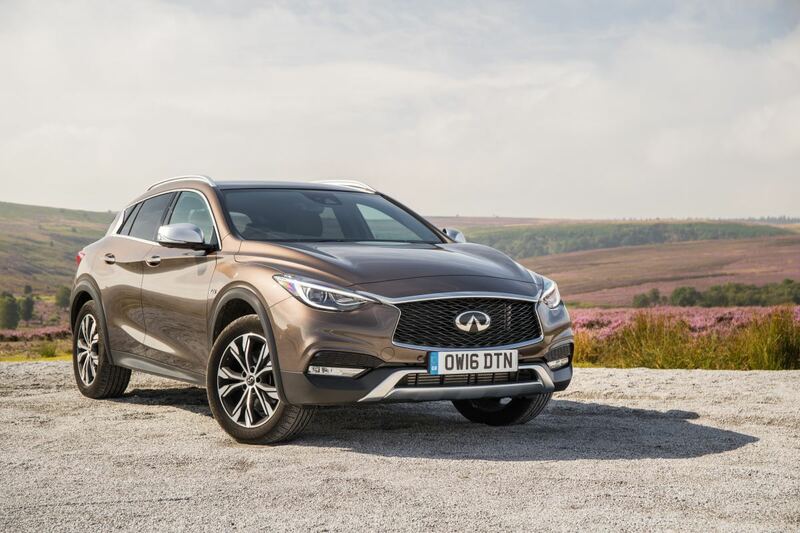 What do you get if you take a standard Infiniti Q30 2.2 diesel with a 7 speed auto, add four wheel drive, larger wheels, roof rails, wider arch mouldings, more ground clearance and a wider track? 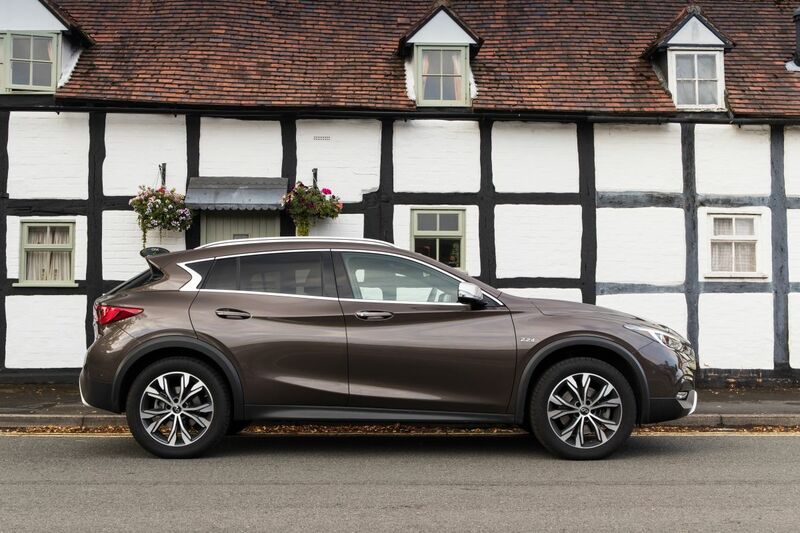 Well, you get this, the Infiniti QX30. 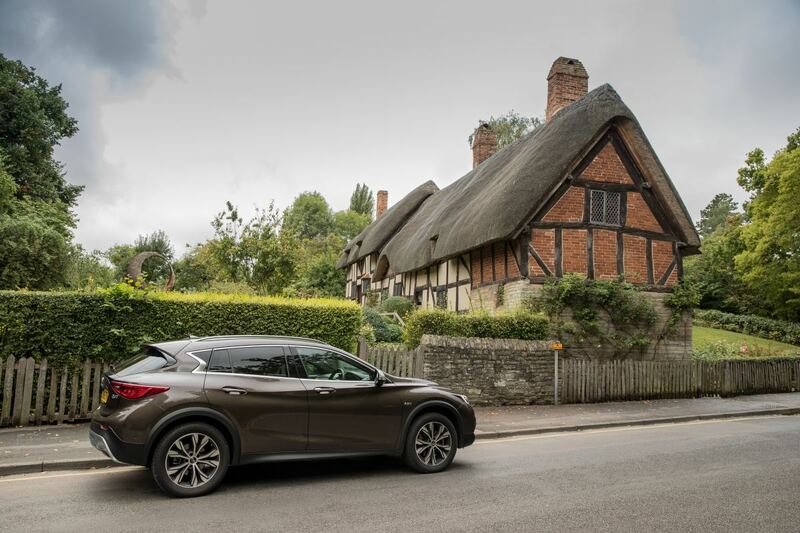 This model tested thanks to Infiniti UK was finished in a metallic ‘Chestnut Bronze’ colour (£670 option) which looked fantastically rich against the satin chrome mirrors, roof rails and window surrounds as well as the rear privacy glass (£300 option). The satin chrome continued onto both bumpers as skid guards to protect the car for those adventurous owners that want to take advantage of the all wheel drive system. 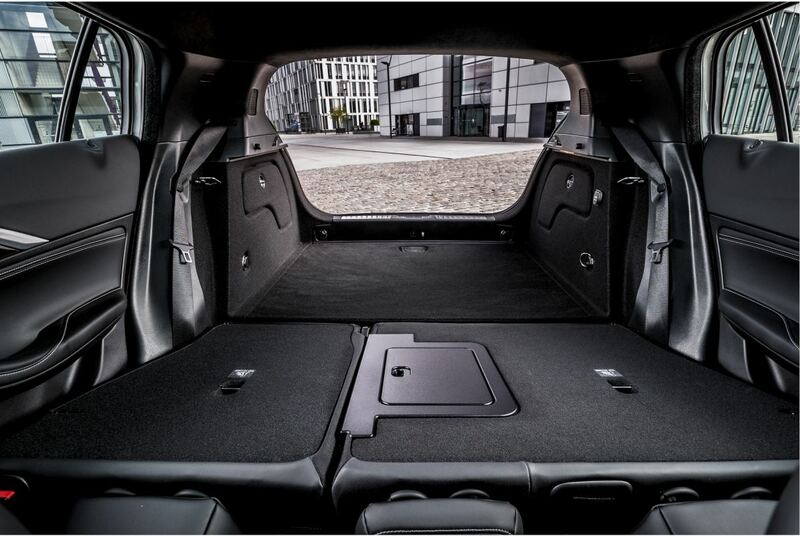 Despite not being an overly large car, front and rear parking sensors are welcomed as a convenience more than a must have on this particular car while the signature lines and swoosh’s that run across the range are paramount on the QX30. 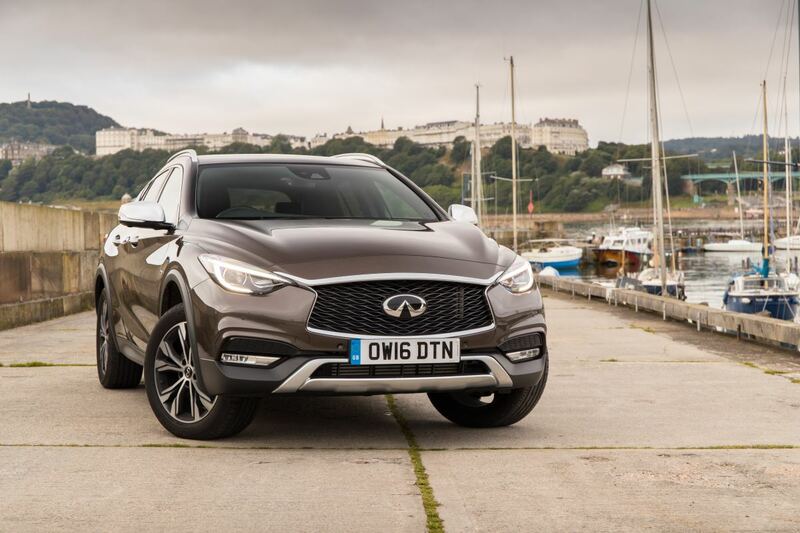 Spec wise the QX30 offers more quality over the Q30 with no ‘entry level’ as such, meaning two models are available, a ‘Premium’ starting from £29,490 and the ‘Premium Tech’ as tested here starting from £33,370. This seems like a hefty price in comparison to possible rivals such as the Mini Countryman or Volvo V40 Cross Country, however by the time you spec the others up to a similar level of equipment, they are all much the same price and on that basis the QX30 wins for its looks alone. That in mind what does the Infinti offer that others don’t? 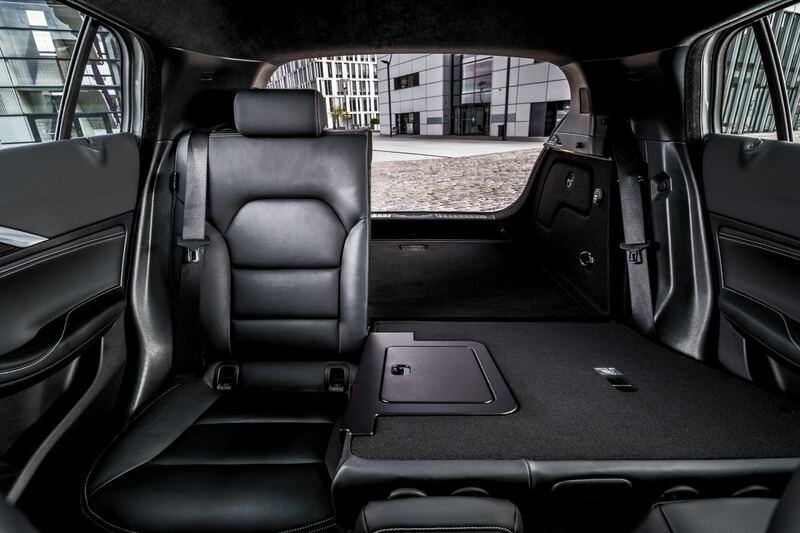 It offers unique styling that makes it stand out from the crowd as well as offering a lot of world first technology from Infiniti when it comes to autonomous driving and safety aids that revolve around such technology. Standard technology on this model tested includes Lane Departure Warning, Hill Start Assist, Forward Collision Warning & Stop and Adaptive Brake Assist amongst a plethora of other smaller features to aid safety and convenience. This model tested is fitted with an £1800 optional safety pack which adds Blind Spot Warning, Automatic Park Assist, Around View Monitor and Moving Object Detection along with Intelligent Cruise Control keeping things as safe as possible. 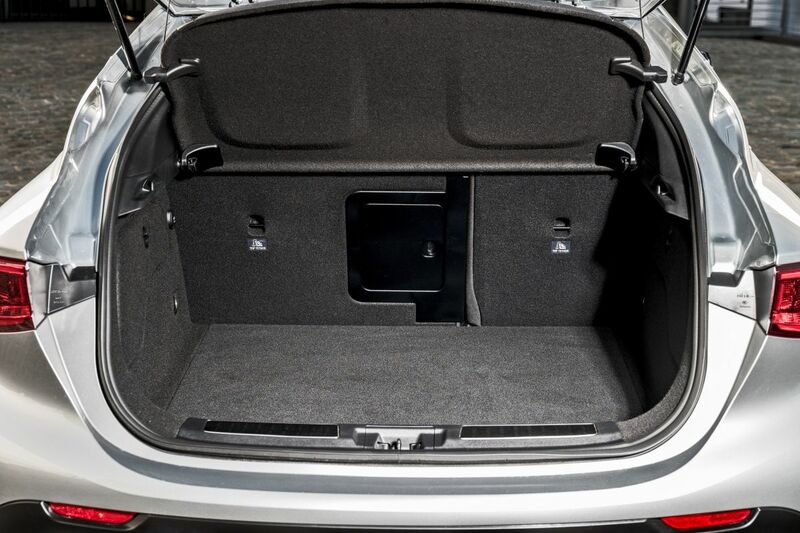 Load space was pretty good if maybe a little shallow for some owners needs, but with a ski hatch and split/fold as standard it is a practical space for many. Inside the QX30 is a plush place to be, I adored the chocolate coloured leather on the model tested against the wooden trim, a gorgeous combination it was. 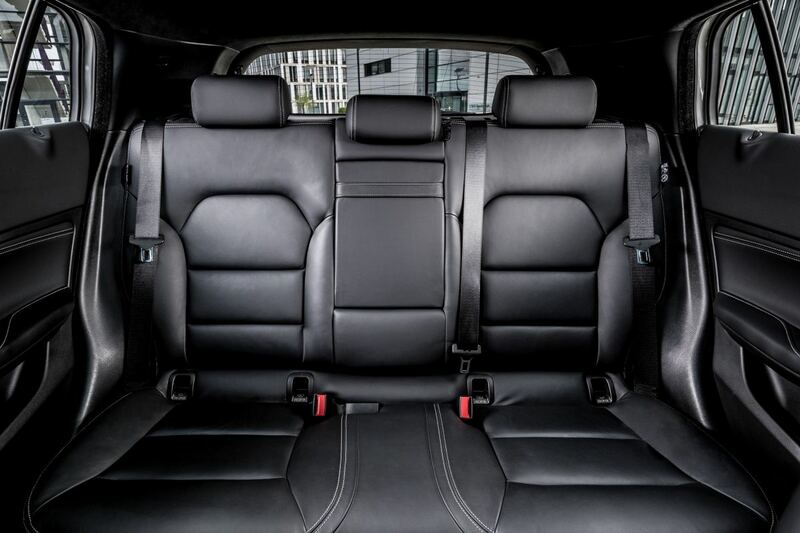 The heated electric seats offered plenty of comfort and support with decent room in the front whilst the rear may get a little cramped with four six footers on board over a long journey, for the older generation with grand kids or the younger generation with kids, it is more than perfect. 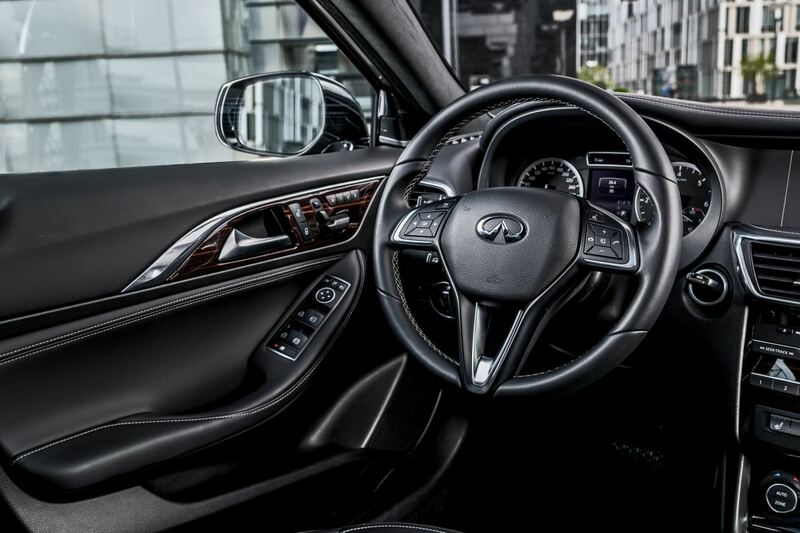 A 7 inch touch screen is the hub of infotainment in the QX30 whilst additional controls come in the form of voice control and steering wheel controls whilst a pair of USB ports offer phone connectivity as well as Bluetooth calling and streaming. AM/FM and DAB radio feature along with CD playback and with noise cancelling technology the QX30 is a quieter place to be than the Q30. Sound quality is second to none thanks to BOSE speakers on the model tested with a sub woofer in place of a spare wheel also for optimum sound quality. The 2.2 turbocharged diesel power-train provides just shy of 170bhp and close to 260lb/ft offering more than enough ‘get up and go’ for most owners, however for those that want a little more the 2.0 turbocharged petrol engine is available offering 208bhp with the same torque as the diesel. 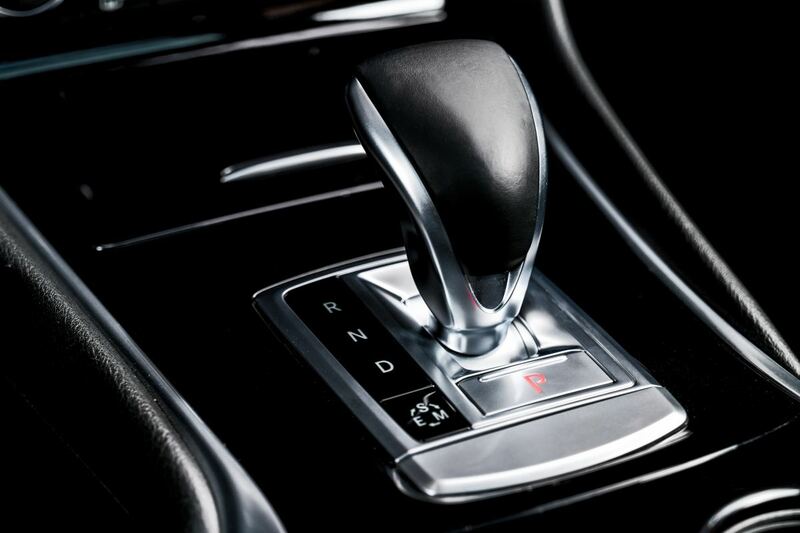 Both engines are combined to an all wheel drive system via the 7 speed dual clutch transmission and on the model tested the diesel engine was great, accelerating from 0-62mph in just 8.5seconds with the added luxury of paddle shift and drive mode select. Drive modes include ‘Eco’, ‘Manual’ and ‘Sport’; Eco is self explanatory and is where most users would keep the QX30 most of the time as it offers the best balance for performance and economy, Manual mode is one that is handy to have though wouldn’t get used the most whilst Sport I found to be great at predicting the gear as well as holding the right gear when on a spirited back road jaunt. 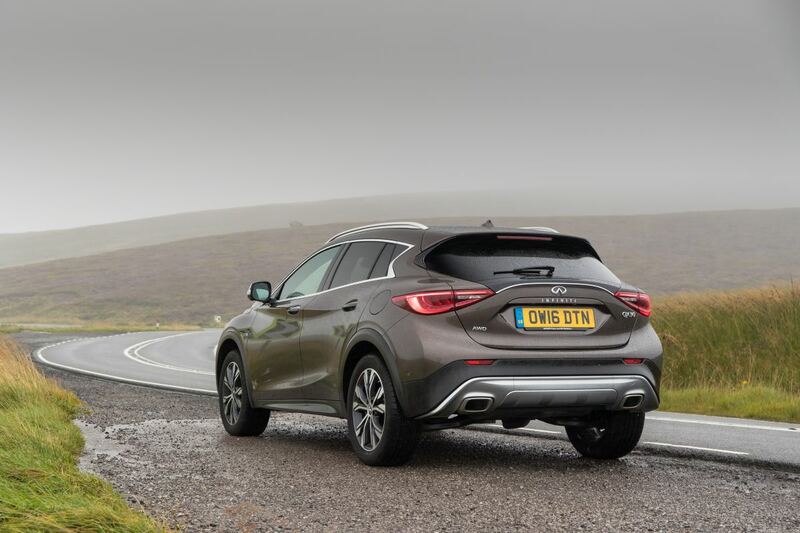 Driving wise the QX30 wouldn’t be as firm as the Q30 and as such absorbed the bumpy roads around the Galgorm Resort with absolute ease and in snow, mud or on mountainous trails I imagine the QX30 would cope just fine with the its all wheel drive. A combined cycle would likely see 50mpg on this diesel model with annual road tax coming in at £110/yr, more than respectable I feel and the model tested with all its options comes in at £37,020. 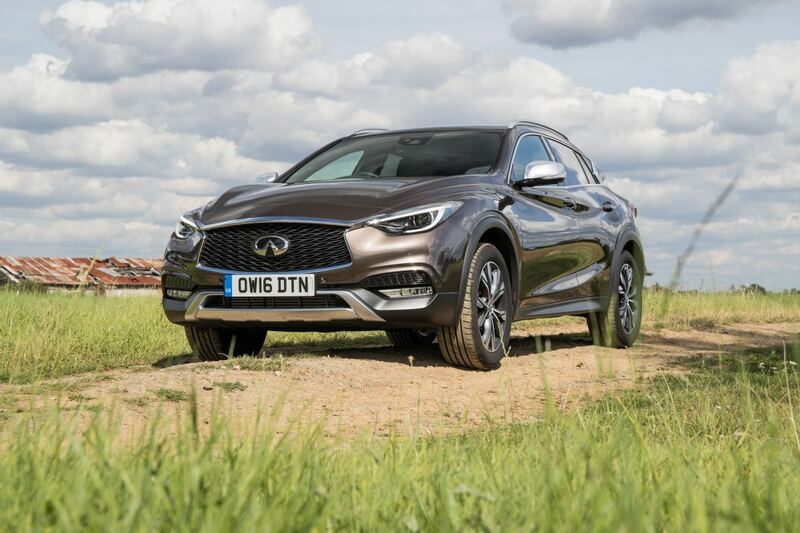 If you are in the market for something four wheel drive and safe with styling that is outside the box, then give the QX30 a thought and visit Mervyn Stewart Ltd in the Boucher area for a chat and drive.